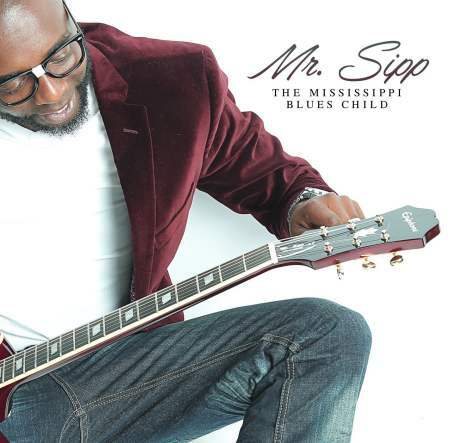 Don’t be fooled by his boyish appearance or the Erkel glasses he and his bandmates wear on stage or the astronomical ascendance he achieved after winning the International Blues Challenge two years ago – Mr. Sipp isn’t a blues child, as the title of this album implies. He’s definitely a man among men as soon as he steps foot on stage. Born in McComb, Miss., the home of Bo Diddley, King Solomon Hill, Omar Kent Dykes and Britney Spears, Sipp was a child prodigy. He’s a powerful vocalist and songwriter who enjoyed a 20-year career in gospel before leaping into the blues, working on several Grammy-nominated projects with groups that included The Williams Brothers, the Jackson Southernaires, Rhonda Chambers, the True Believers and the Pilgrim Jubilee Singers, among others, and traveling the globe. 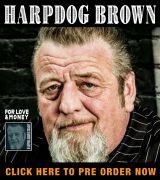 When the Vicksburg Blues Society needed a representative for the IBCs in 2004, however, he jumped at the chance to represent them, arriving in Memphis knowing only six blues tunes upon arrival, but walking away with the title. 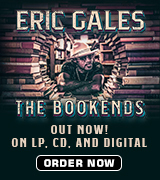 Other honors have followed quickly as he’s established himself as one of the rising stars in soul-blues. This is the fourth album to his credit and the first on the legendary Malaco imprint following his victory, and features his regular rhythm section of Stanley Dixon Jr. on drums and Jeff Flanagan on bass and backing vocals. Rounding out the sound are a horn section comprised of Kimble Funchess (trumpet), William Brown (trombone) and Jessie Palmer (saxes) with assists from Murph Caidedo and Timothy Henderson (drums), Damien Strauder and Michael Thomas (keyboards) and Chris Gill (slide guitar). “TMBC” – an acronym for The Mississippi Blues Child – kicks off the disc. In it, Sipp delivers his autobiography, describing how he picked up the guitar for the first time at age six and faced scorn from preachers when he decided to make the leap from gospel to blues. His prodigious six-string talents are on display during the mid-tune solo. Next up is a loping marriage proposal, “Jump The Broom,” which refers to a custom between bride and groom that dates to the 18th Century and has become a common practice during African American weddings in the South. “In The Fire” starts with a power trio feel before evolving into a ballad that recounts Sipp having to defend himself for criticism – in their eyes, setting his soul ablaze — as he launched his new career, while “Hole In My Heart” addresses the pain felt when love goes sour. A single-note guitar run kicks off the follow-up, the B.B. King-influenced ballad “Say The Word,” which requests the woman reveal her true feelings in order to set him free. “Sipp Slide” fires out of the box. It’s a fast-paced boogie that urges folks out on the dance floor to bust it loose in any manner they wish. Next up, “Nobody’s Bizness” delivers a message about anyone who wants to criticize the singer for spending money the way he does. “Jackpot” is a tune reminiscent of the Detroit Junior classic, “Call My Job,” in which the subject cashes in on a windfall, this time at a casino and in a dream, not a race track in real life, and isn’t going to work today. It’s soulfully funky and fresh. The mood quiets for “What Is Love,” which is delivered with a spoken introduction and perfect for grinding on the dance floor. The theme continues with “V.I.P.” — the soulful request for the woman to allow him into a special section in her heart – and “Tonight” – a tender ballad that expresses a wish that the woman is “doing fine” and wondering if there’s something on her mind. “Hold It In The Road” is a soul-blues standard that describes a beautiful woman. The title refers to how the singer has to conduct himself when she asks how he’s doing – even though he’s totally bowled over. “Be Careful” is a cautionary tale of faithfulness and denial after someone claims she spotted the singer at a motel with another woman. “Too Much Water,” the disc’s finale, speaks to a former lover’s request to pick up the relationship again while the singer simply wants to remain friends. One of Sipp’s favorite expressions is “Let’s knock a hole in it,” and The Mississippi Blues Child does just that, as evidenced by his recent win at the Blues Music Awards for Best New Artist Blues Album. If this record were on vinyl, you’d wear it out from repeated plays. It’s that good. Available everywhere.